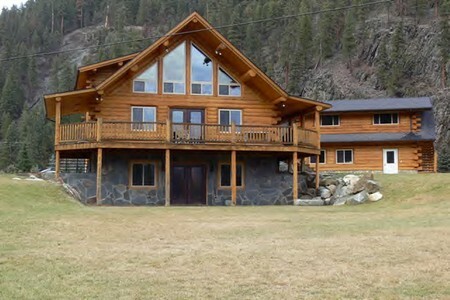 Stunning Views & Amazing Kootenai River Frontage! This Beautiful Custom Lot Home is quality craftsmanship at its best with stunning views & amazing Kootenai River Frontage. This 3 bdrm 3 bath log home has open floor plan, vaulted ceilings, Brazilian cherry hard wood floors, beautiful tile, custom cabinets & finished daylight basement. The 2 car garage has guest quarters with kitchen & bath. Enjoy the peace & tranquility of your surroundings as you enjoy fishing off your property while watching the big horn sheep play on your lawn. This home & its architectural style & charm truly is a rare Montana Gem!